MECCA, Saudi Arabia (AP) — Saudi Arabia is preparing to host the annual hajj pilgrimage beginning Sunday, as over 2 million Muslim faithful are ready to take part in the ultraconservative kingdom. The pilgrimage represents one of the five pillars of Islam and is required of all able-bodied Muslims once in their life. In recent weeks, the faithful have arrived in Mecca from across the world, all chanting "Labayk Allahuma Labayk," or "Here I am, God, answering your call. Here I am." 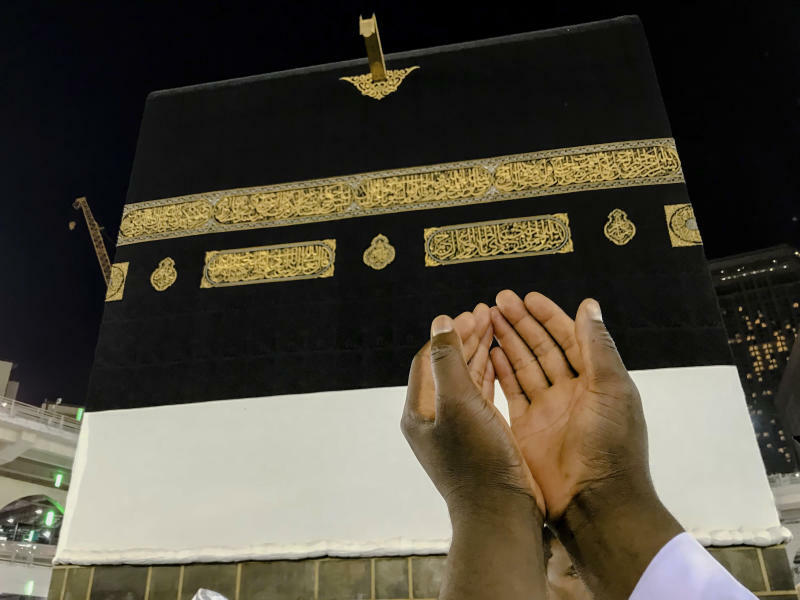 The hajj offers pilgrims an opportunity to feel closer to God amid the Muslim world's many challenges, including the threat of extremists in the Mideast after the Islamic State group was beaten back in Iraq and Syria and the plight of Myanmar's Muslim Rohingya minority. "My feeling is indescribable to perform the hajj," said Imad Abdel-Raheem, an Egyptian pilgrim. "I also want to pray for all Muslim countries, for them to live free in all places, in Palestine and in Burma, in all places, in Afghanistan and in India." Men attending the hajj dress in only terrycloth, seamless white garments meant to represent unity among Muslims and equality before God. Women wear loose clothing, cover their hair and forgo makeup and nail polish to achieve a state of humility and spiritual purity. 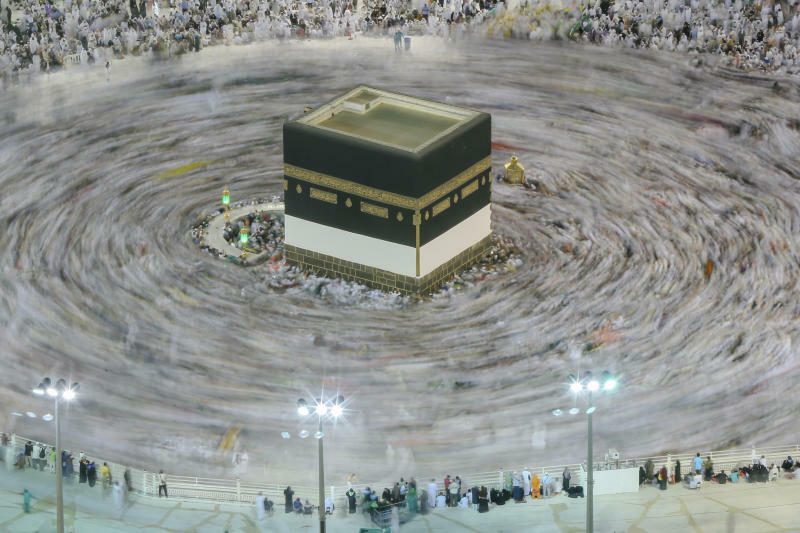 Since arriving, many have circled the cube-shaped Kaaba in Mecca — Islam's holiest site. The Kaaba represents the metaphorical house of God and the oneness of God in Islam. Observant Muslims around the world face toward the Kaaba during their five daily prayers. 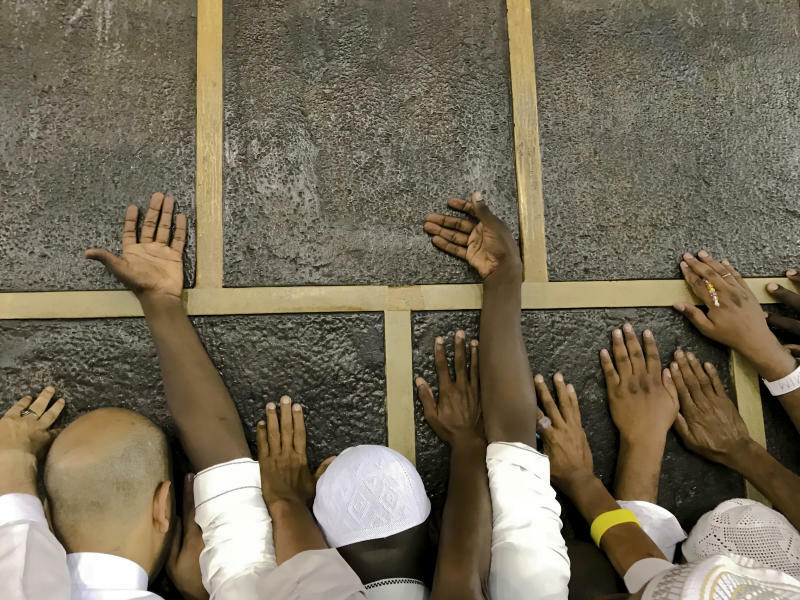 Muslims believe the hajj retraces the footsteps of the Prophet Muhammad, as well as those of the prophets Ibrahim and Ismail — Abraham and Ishmael in the Bible. While a holy, once-in-a-lifetime experience for pilgrims, the hajj is by no means an easy journey. The temperature in Mecca and Mina will be around 42 degrees Celsius (107 degrees Fahrenheit). Pilgrims walk between 5 to 15 kilometers (3 to 9 miles) a day. Long lines and even longer waits can strain even the most patient as they weave through the throngs of people. Politics often intrude into the holy pilgrimage. Saudi Arabia under King Salman and his son, the assertive 32-year-old Crown Prince Mohammed bin Salman, have had strained ties with Iran, which boycotted the 2016 hajj They will be there this year, as will Qataris, whose small country on the Arabian Peninsula is being boycotted by Saudi Arabia and three other Arab nations. And perhaps most surprising, Canadians recently found themselves in the cross-hairs of Saudi anger over their diplomats tweeting their desire to see detained women's rights activists released. Al-Turki, the Interior Ministry spokesman, acknowledged both the threat posed by a possible missile launch from Yemen's rebels and militant attacks during the hajj. "Our policemen are ready to deal with any such threat and to sacrifice their lives in order to protect the pilgrimage from any threat," he said. Those on the hajj said they hoped for better relations across the Muslim world. "I hope this year would be a good one for the Islamic nations," said Ahmad Mohammad, an Egyptian pilgrim. "I hope the situation will be better, and I ask Allah to accept my pilgrimage." That was a feeling shared by Jordanian pilgrim Jehad Hussein. "I pray to Allah to grant victory to all of them, the people of Palestine, the people of Gaza, Syria and all Arab countries. Allah willing," she said.